Job Postings is found on the menu bar. Click on Job Postings. 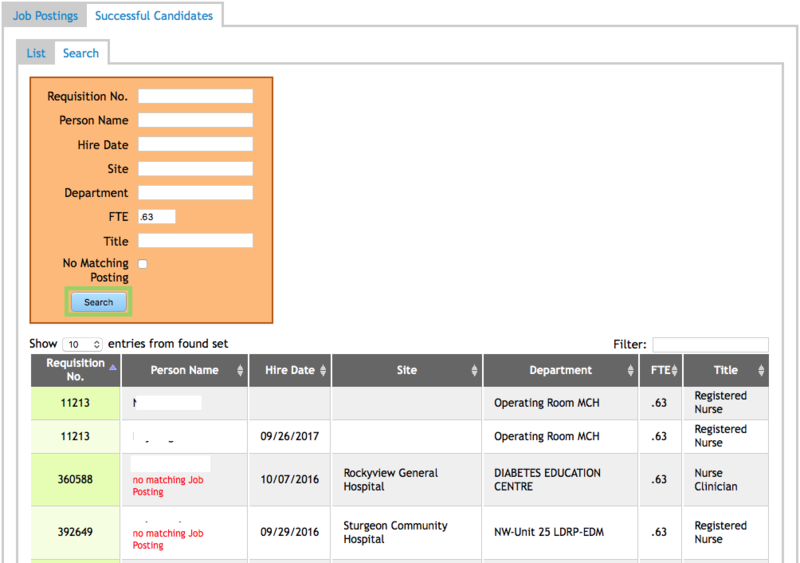 The Job Postings & Successful Candidates screen will appear. This page will show postings sent to UNA from several Employers. There are two tabs the Job Postings and Successful Candidates. Lists all the Job Posting sent in to UNA from the employer. 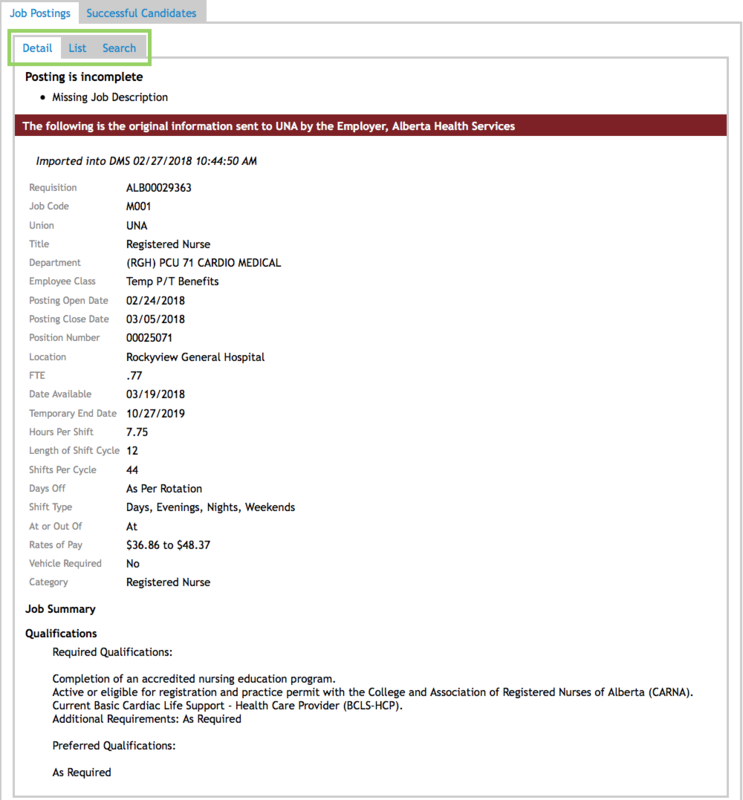 To see the complete Job Posting you will need to click on the Blue box that has the requisition number. When you view the details the Detail tab will be used. To go back click on List or Search. Search allows you customize the search for yourself. If you know a Requisition No. it can be enters in and then click on Search at the bottom of the screen to look for just that requistion. If you are looking for say all the positions at Foothills you would enter that in the Location / Site and any other variables that pertain to your search. There are 2 newer features to search by, Has Incomplete Details and Position Not Filled by Deadline. These both can be activated by clicking in the box next to them. Has Incomplete Details has to do with anything wrong in the job posting according to 14-PROMOTIONS, TRANSFERS & VACANCIES specifically 14.01 (d) and (e), the rules put forth for job postings. Position Not Filed by Deadline if those hired after deadline. After have all your criteria entered for a search click on Search. Make sure there are no characters or spaces in the Requisition No. 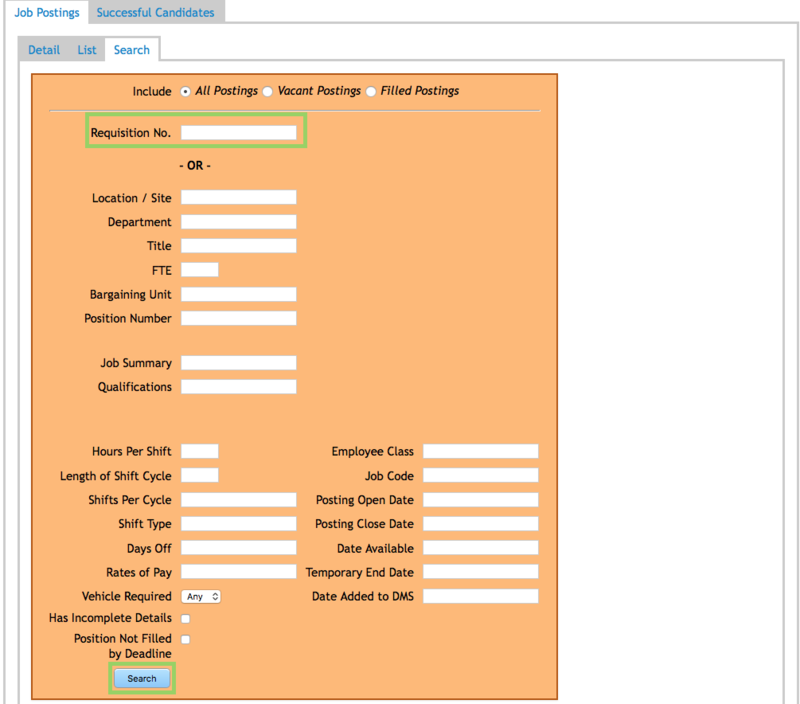 field as the system cannot search for Requisition No. and search criteria. Your list matching the search criteria will populate and you can view those listing you are interested in. Successful Candidates will show you who the successful person was for the position. There are two tabs List and Search. 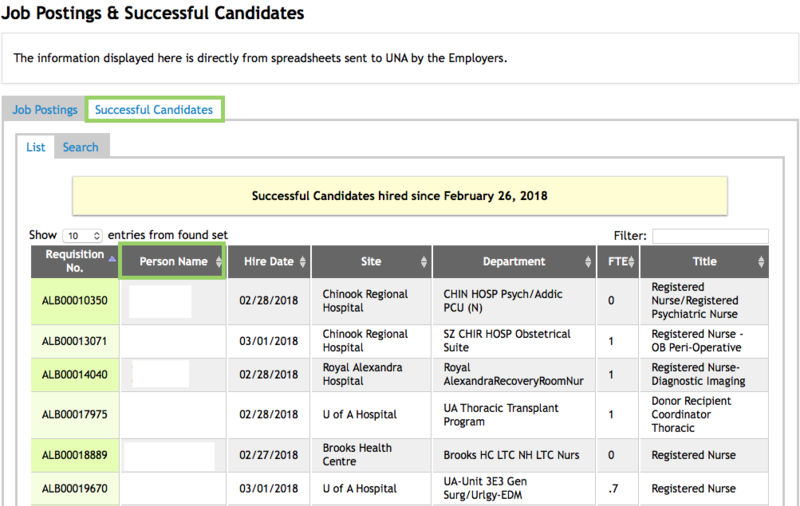 List will show the successful candidates for the listed positions. Search will allow one to search and see who was successful.